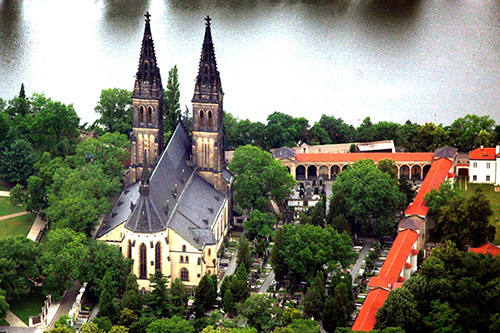 For a short period of time, Vyšehrad was also the seat of Czech princes, who built sumptuous buildings here. Among those, the St. Martin rotunda has survived intact, as well as the many-times-remodeled church of St. Peter and Paul. This church surprises visitors with its ever present Art-Nouveau frescoes, as well as a stunning medieval panel-painting known as the Virgin Mary of Rain, once believed to bring rain to our ancestors. In the Baroque period, Vyšehrad was rebuilt into a fortress in the shape of a star, a shape inspired by French fort architecture. 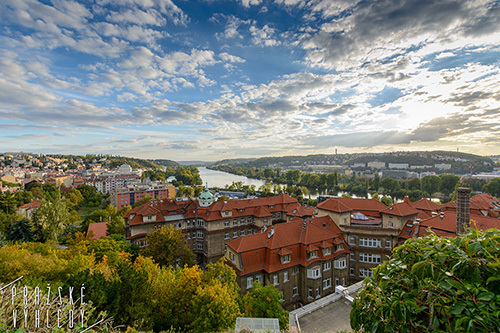 A walk along the individual star points provides us a nearly circular view of the city, the Vltava River and the hills on the opposite bank. 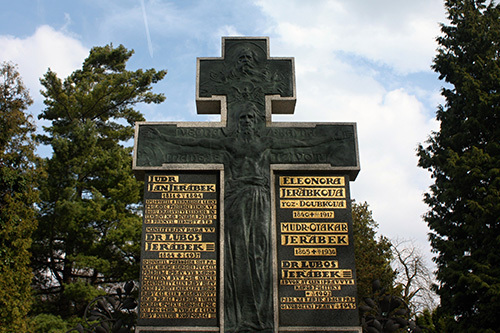 Another truly interesting place within the fortress is Slavín, the cemetery of famous key figures of the Czech nation. 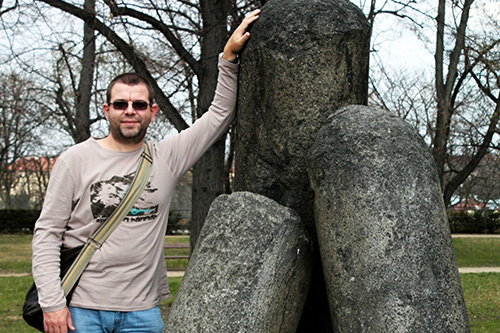 We will stop by their graves, many of which are true works of art, of significant patriots the names of many you are likely to recognize – Bedřich Smetana, Antonín Dvořák, Alphonse Mucha, Milada Horáková and others. 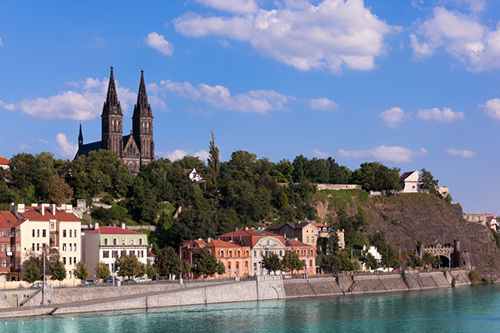 The tour of Vyšehrad (the name of which could be literally translated as High Castle) is a great choice for those who wish to escape the rush of downtown and touch the soul of ancient mythological stories. It’s perfect if you enjoy impressive panoramic views, beautiful artworks or just some time for an in-depth talk with your guide about life in the Czech Republic. 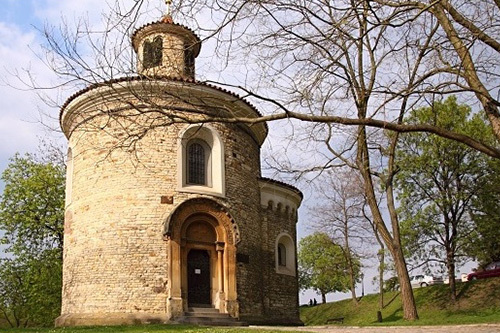 ... this ancient church, currently reconstructed in the Neo-Gothic style, was richly decorated with bands of Art-Nouveau frescoes in the beginning of the 20th century by František Urban and his wife Marie. They found inspiration in our national history and also painted an entire gallery-display of Christian saints. Aside from these, the church provides the opportunity to admire the work of one of greatest Czech Baroque painters, Karel Škréta. ... if you’d like, your guide can tell you about selected subjects regarding Czech society during this pleasant stop (for example the sociological character of life in our country).